The recent history of the Alicante’s region is marked by a spectacular growth in infrastructures and services. 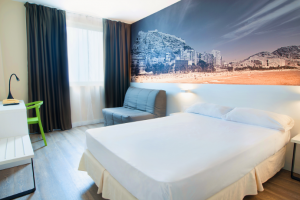 Also in the tourist sector, Alicante is profiled as one of the main tourist centers of Comunidad Valenciana and of Spain, attracting many visitors throughout the year. IFA is one of the examples of this evolution. The Institution has been founded in 1959. But it is during the last seven years that IFA has experienced the greatest development. During this period of time it has been possible, not without efforts, to place the IFA as one of the biggest reference points in Spain. With the support of Alicante’s society as a whole, IFA has been able to establish, consolidate and promote events from a very diversified range of sectors: footwear, cars, aesthetics, commerce, home, food, and hospitality, leisure and free time or construction. At present, IFA organizes more than twenty fairs and multiple congresses, seminars or symposiums that annually attract the interest of ALMOST 300,000 people and (more than) AROUND 2,000 companies. As a result, IFA has managed to position itself (in the top positions) AT THE TOP in terms of (the) number of contests organized and (the) net surface area of ​​(exposure)EXIBITION? available. IFA offers a series of advantages such as its large parking of 5,000 places and its two pavilions. Pavilion I was built in 1991, using architectural innovations such as the inverted wing roof. The whole main facade is glazed. It has a useable surface for acts of 960 m2 and its capacity of occupants is approximately 900 people. Pavilion II, built one year later than the first, has an attractive and functional design. In its interior there are six columns separated from each other, which allows to accommodate large areas completely diaphanous. 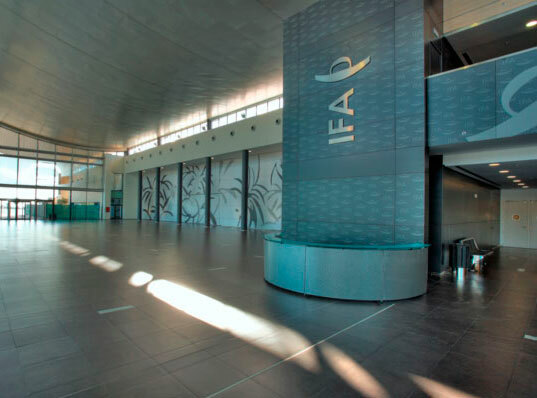 IFA also counts on complementary halls for professional meetings, conferences, technical conferences, assemblies, training courses, presentations, in a comfortable atmosphere and of maximum tranquility. A further advantage is the geographical location of IFA. 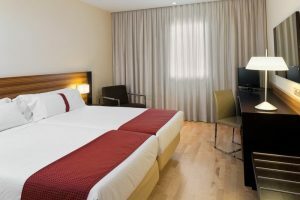 Located just a few minutes from the cities of Elche and Alicante, IFA has a direct access to the A-7 motorway and is five minutes from Altet Airport, Alicante. These are the conditions to gather a large number of exhibitors who bring their products to visitors, both from Alicante and from the regions: Valencia, Murcia, Almería and Albacete. In addition, with an average temperature of 18 degrees Celsius that makes a very pleasant stay in this area, IFA becomes the ideal place for tourists to take advantage of their stay to discover the proposals of the contest that this place at that time is IFA . IFA is located between the cities of Elche and Alicante, next to the International Airport El Altet. The access to IFA is direct from the Autovia del Mediterraneo A-7, Alicante-Murcia, exit 22. It arrives with our indications. Do not miss anything! Keep up with everything that happens in our facilities; Follow the news to know everything that happens in IFA.